Since the age of four, Jacie Robinson has enjoyed studying the violin. She earned her Bachelor’s degree from Michigan State University where she studied under Charles Avsharian and Dmitri Berlinsky. Jacie has attended the Meadowmount School of Music in New York, and in 2005 had the opportunity to tour and perform with Dmitri Berlinsky as part of the International Chamber Soloists in Costa Rica and Mexico. Among other musical scholarships and awards, Jacie has been the winner of the Kalamazoo Symphony Orchestra Concerto Competition, a quarterfinalist at the Fischoff National Chamber Music Competition, appeared on WMUK’s public radio series “Bravo!” both as a soloist and part of a trio, and been concertmaster and soloist with the Kalamazoo Junior Symphony Orchestra. 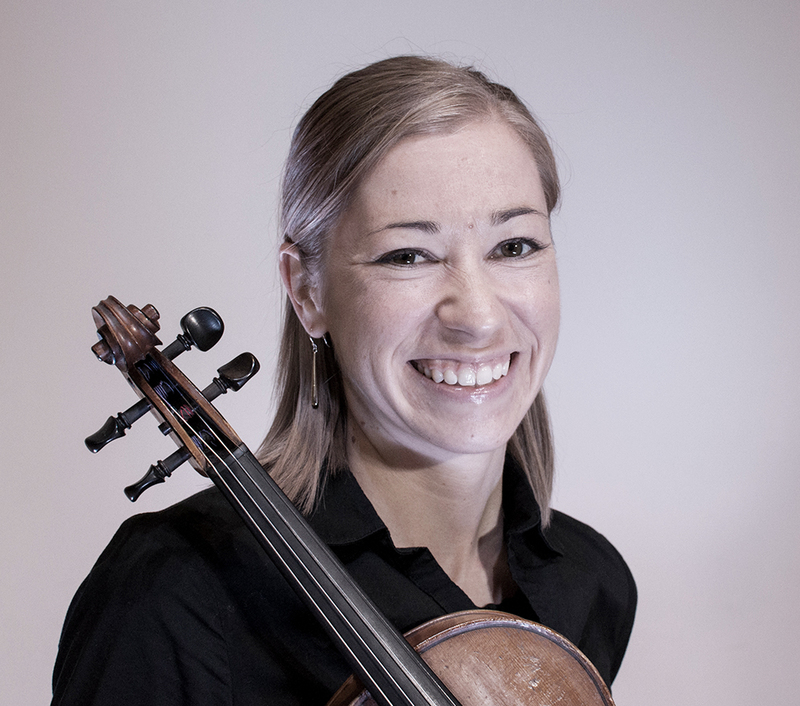 Currently, Jacie performs with orchestras throughout her home state of Michigan, including the Grand Rapids Symphony, and has been the Assistant Concertmaster for the West Michigan Symphony since 2008. She also enjoys playing violin at church, spending time outdoors, and laughing with her husband and two daughters.